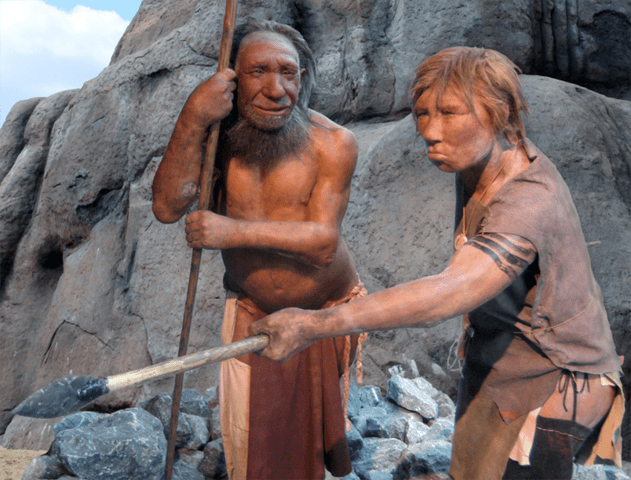 Researchers around the world want to have a better understanding of how ancient humans lived. Now scientists from the University of Oxford believe they have uncovered some interesting findings about some of the first human species. They believe Neanderthals and Denisovans may have lived together in a cave in southern Siberia. Professor Tom Higham of the Oxford Radiocarbon Accelerator Unit collaborated with fellow researchers from around the world, including scientists from the U.K., Russia, Australia, Canada and Germany. They spent five years dating the site of a Densiova cave located under the Altai Mountains in Siberia. It is the only archeological site in the world which is believed to have been occupied by different human groups at different times. Now two new studies published in the journal Nature suggest Neanderthals and Denisovans lived together in the cave at the same time. Researchers say the studies also shed light on the environmental conditions they lived in before they became extinct. Denisova caught the world’s attention in 2010 when a study uncovered a genome in a finger bone of a girl scientists believed belonged to a then-unknown group of ancient humans. That’s how the DNA of the people group now known as Denisovans was sequenced for the first time. New research sheds light on how the group may have lived with other ancient human species like Neanderthals, based on radiocarbon dating from bone, tooth and charcoal fragments recovered at the site as part of the European Research Council’s PalaeoChron project. Researchers from the University of Wollongong in Australia say they found more than 100 optical ages in the sediment, of which many were too old to conduct radiocarbon dating on. Another Australian team conducted uranium-series dating, which scientists say should help find the minimum age for the bone fragment believed to be of mixed Neanderthal/Denisovan ancestry. “This is the first time we are able to confidently assign an age to all archaeological sequence of the cave and its contents,” Higham said in a statement. Determining the right age for the bone fragment was difficult with radiocarbon dating not being sufficient. Scientists had to develop a new Bayesian model which combined some of the estimated dates with previous data about the deposits and genetic ages estimated for Denisovan and Neanderthal fossils relative to each other. The second method included analysis of the mitochondrial DNA sequences analyzed at the Max Planck Institute for Evolutionary Anthropology in Germany. “This new chronology for Denisova Cave provides a timeline for the wealth of data generated by our Russian colleagues on the archaeological and environmental history of the cave over the past three glacial-interglacial cycles,” said Professor Zenobia Jacobs of the University of Wollongong, lead author of the optical dating study. The researchers believe their findings suggest Neanderthals and Denisovans lived together in the cave at least 200,000 years ago. Additionally, they apparently used stone tools at the time, so scientists believe it means human occupation of the site began at least 300,000 years ago. Scientists say they believe Neanderthals inhabited the southern Siberian site between 200,000 and 100,000 years ago and lived with a girl of mixed ancestry they refer to as “Denny.” The two groups of hominins are believed to have met and reproduced together approximately 100,000 years ago.